The Steyr AUG series is an Austrian licensed series of assault rifles that use the bull-pup configuration, where the buttplate is attached directly to the receiver. 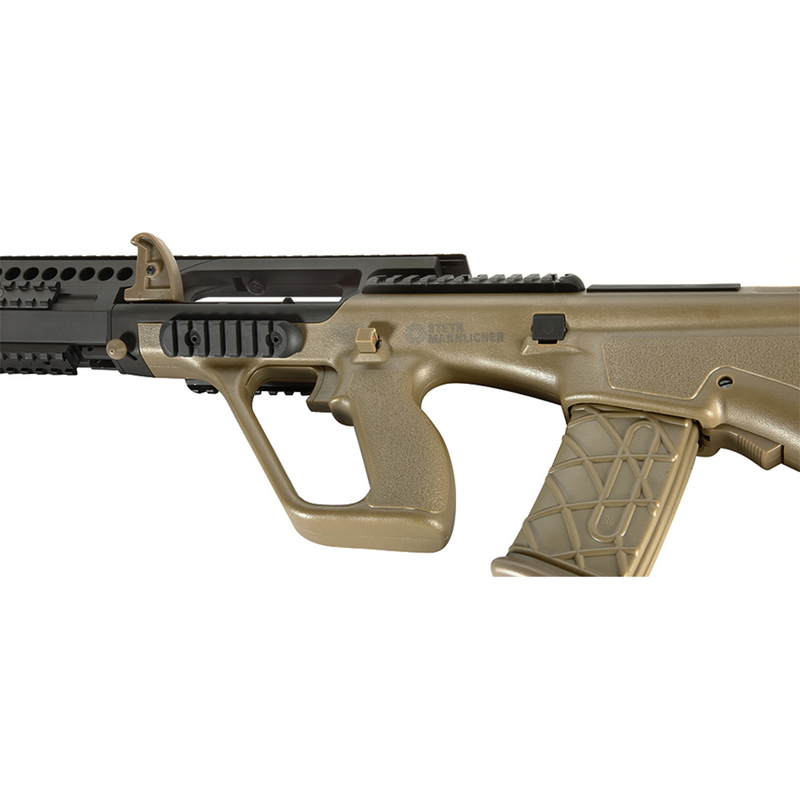 The AUG A3 is a multi-purpose rifle with multiple rails, an adjustable hop-up system, and a 300 round magazine capacity. 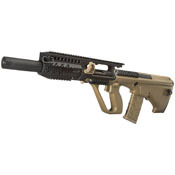 Heavy duty AEG is compact enough for close quarters battle. 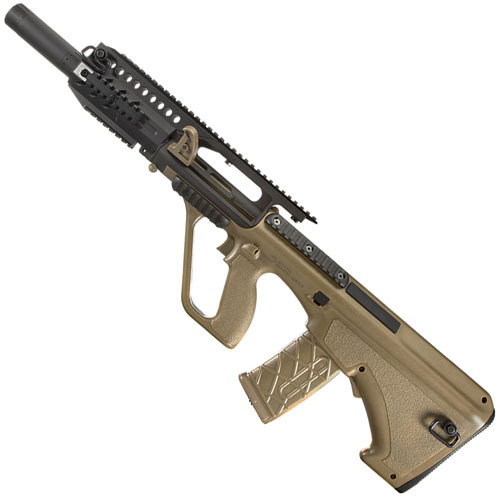 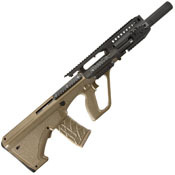 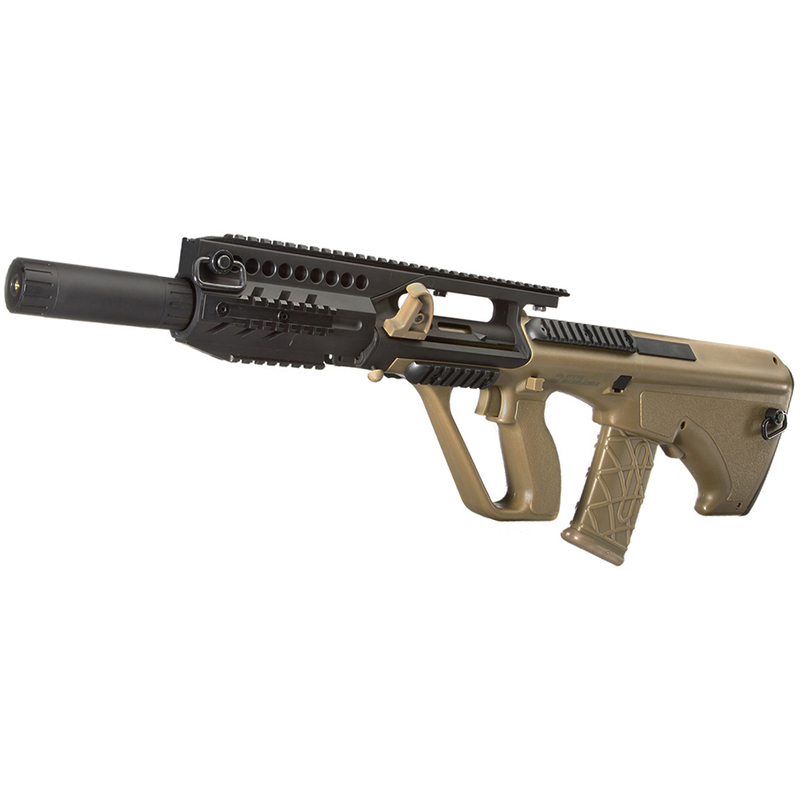 Package Includes: ASG PL Steyr AUG A3 Tan Airsoft Rifle. Charger and batteries NOT included.